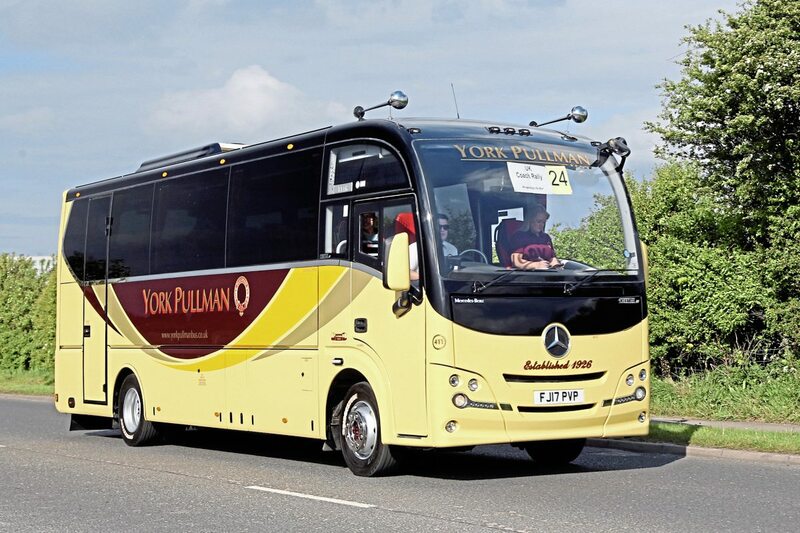 For the first time since 2010, a new name will be added to the UK Coach Rally – Coach of the Year Trophy as the MAN based Beulas Mythos entered by Blakes Coaches of Tiverton took the top Concours d’Elegance award. 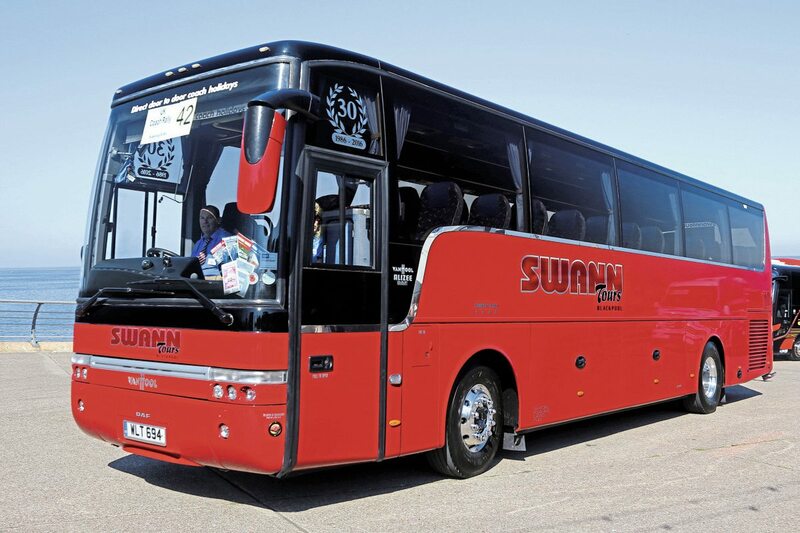 The Devon based company has been a regular participant in the rally since its later years in Brighton, often being amongst the manufacturer trophy winners. 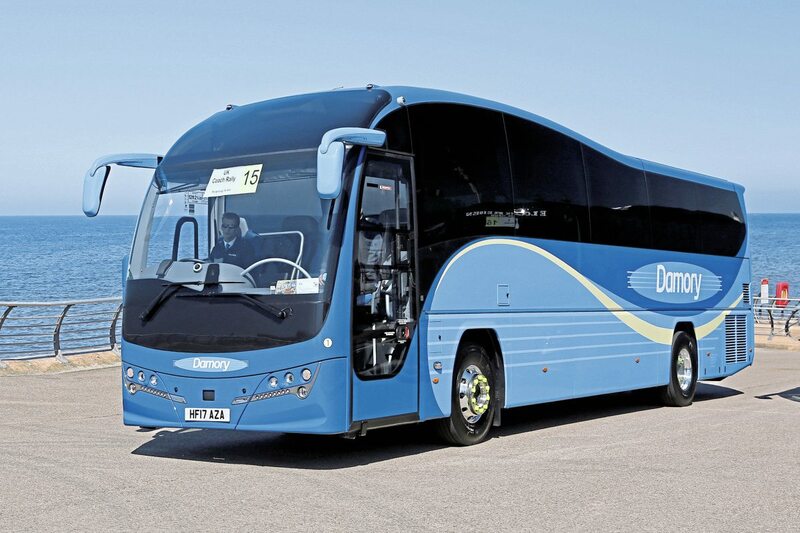 In addition to the top award, the Mythos also received the Beulas Trophy for the best Beulas supplied by Moseley and the Peter Rogers Shield for the top CPT member whilst the company’s second entry, an Irizar i6 was the recipient of the Irizar Trophy. 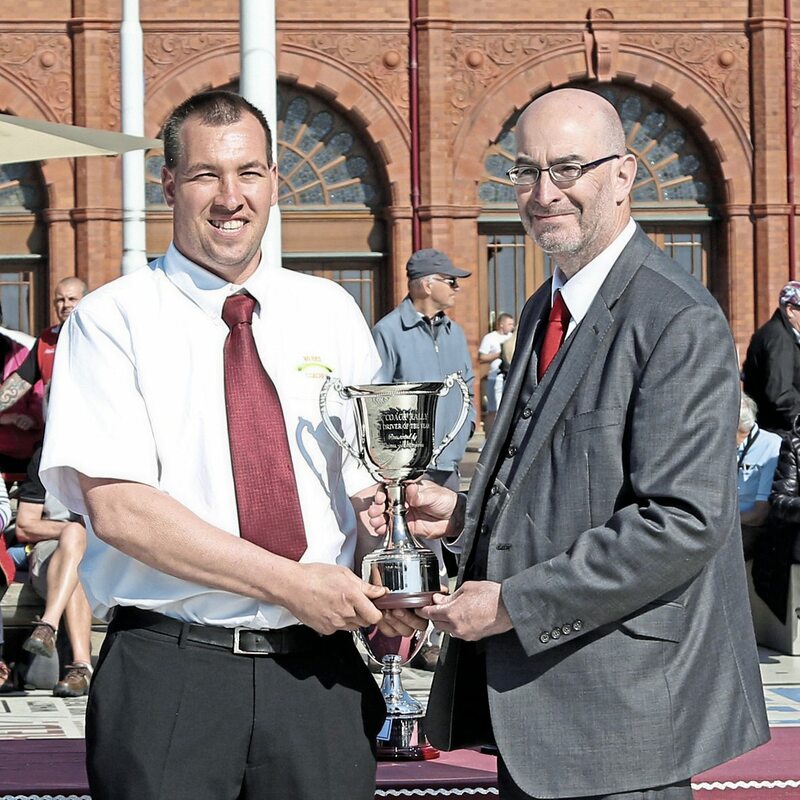 In contrast, the UK Coach Rally – Coach Driver of the Year Trophy was won by Chris Bibby from Bibby’s of Ingleton, his third success having previously taken the award in 2006 and 2008. 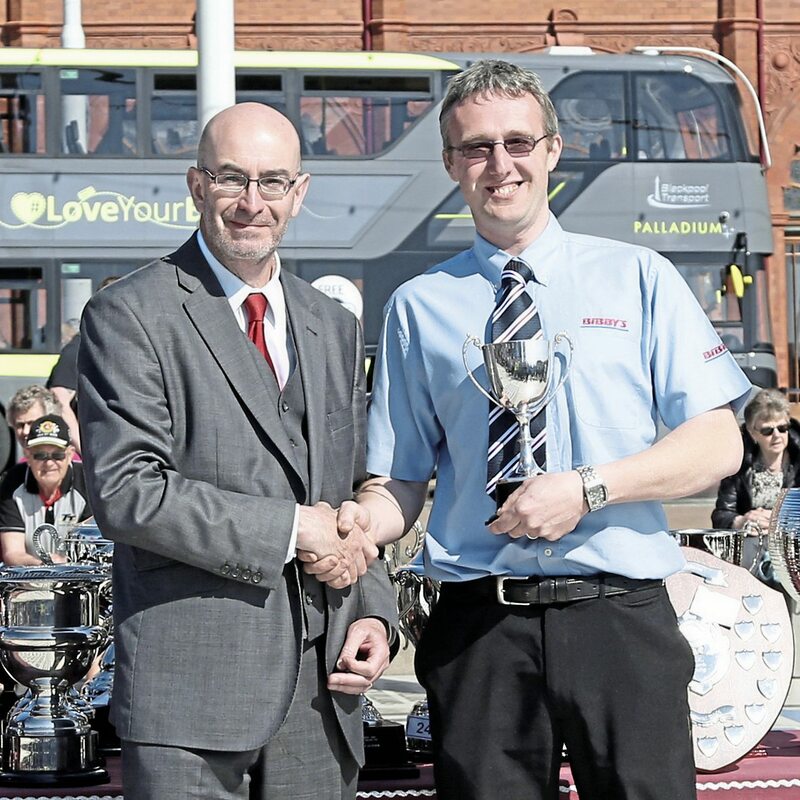 The challenging roads of the Yorkshire Dales must be a good practice ground as the runner up and recipient of the West Middlesex Coach Operators Association Trophy was Daryl Dixon, also from Bibby’s and a previous winner in 2010. 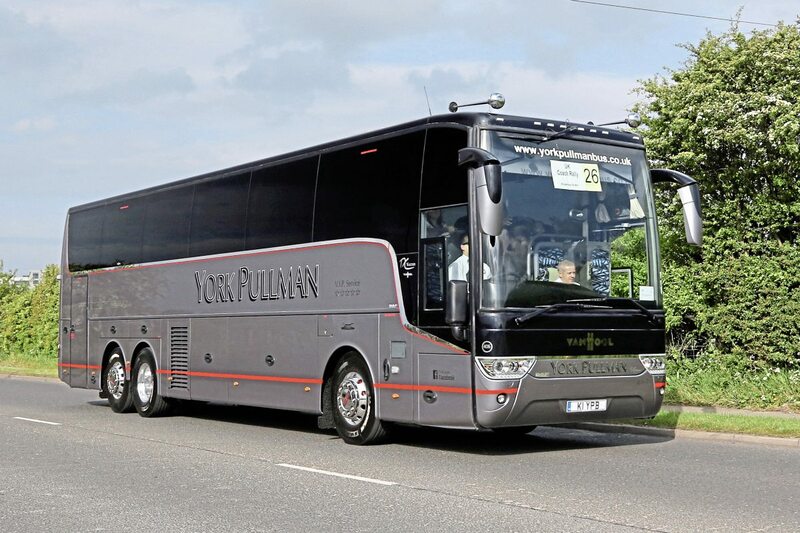 In the four main Concours d’Elegance classes, both the Top Mini and Midi (York Pullman) and Top Touring/Express Luxury (Damory) were Plaxton products whilst the Top Standard Coach (Banstead Coaches) was from Mercedes-Benz and the Top Executive Coach (Go Goodwins) was a Moseley supplied Van Hool. 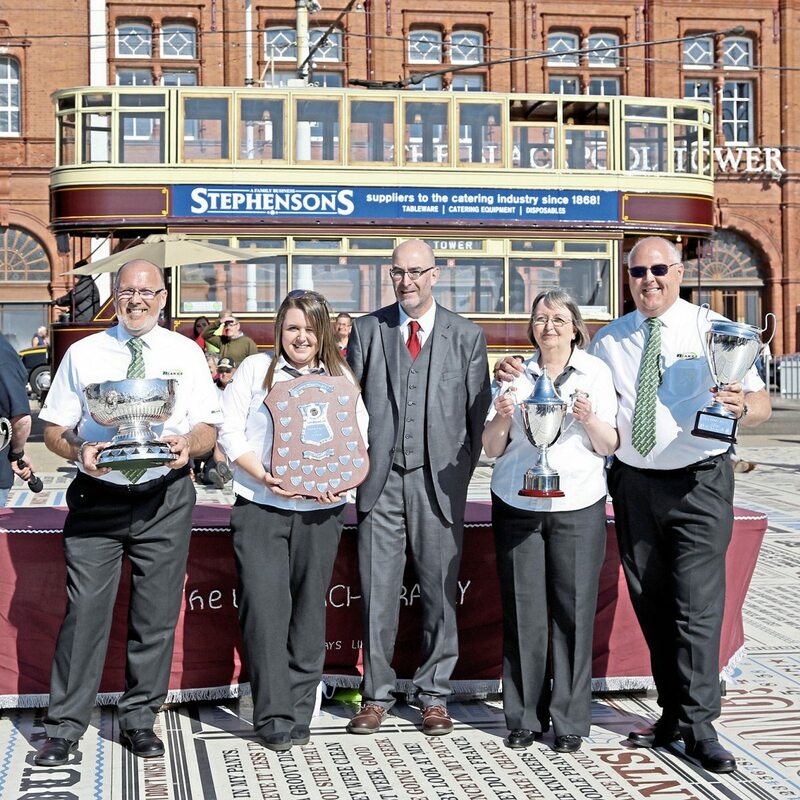 2017’s rally maintained the successful format of the first event in Blackpool with a few improvements based on experience from the latter. Early on the Saturday morning, a full house of 55 entrants gathered on a sunny Middle Walk below the Promenade for a prompt 0800 start on the road run. 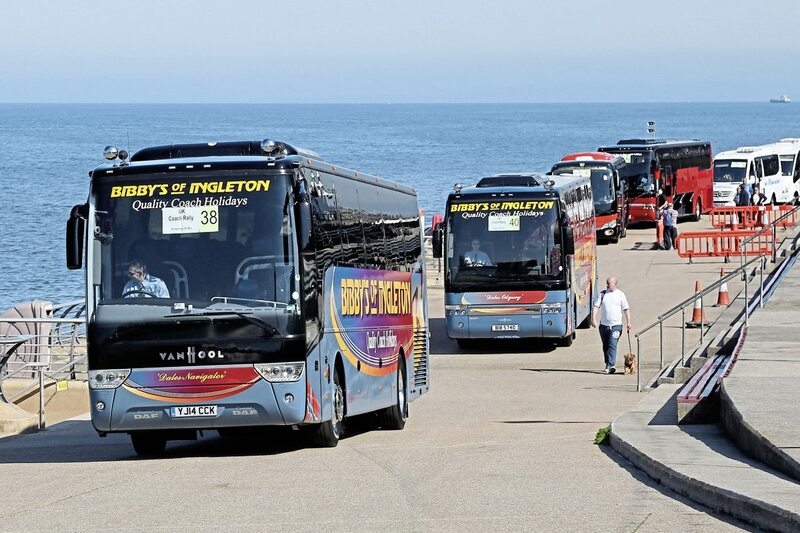 The bright conditions didn’t last unfortunately and it was quite cloudy by the time the first coaches arrived back about 90 minutes later. It remained cool, dry and grey for the rest of the day, ideal conditions for the driving tests in the main arena with little glare from the adjacent high tide. 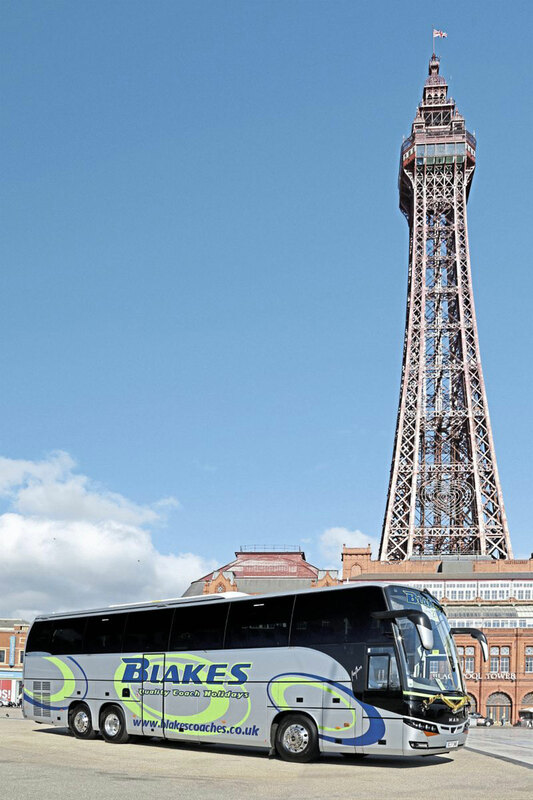 On completion of the tests and in a masterpiece of logistics, all 55 entrants were safely guided along the Promenade to park in an orderly fashion around Blackpool’s Comedy Carpet. 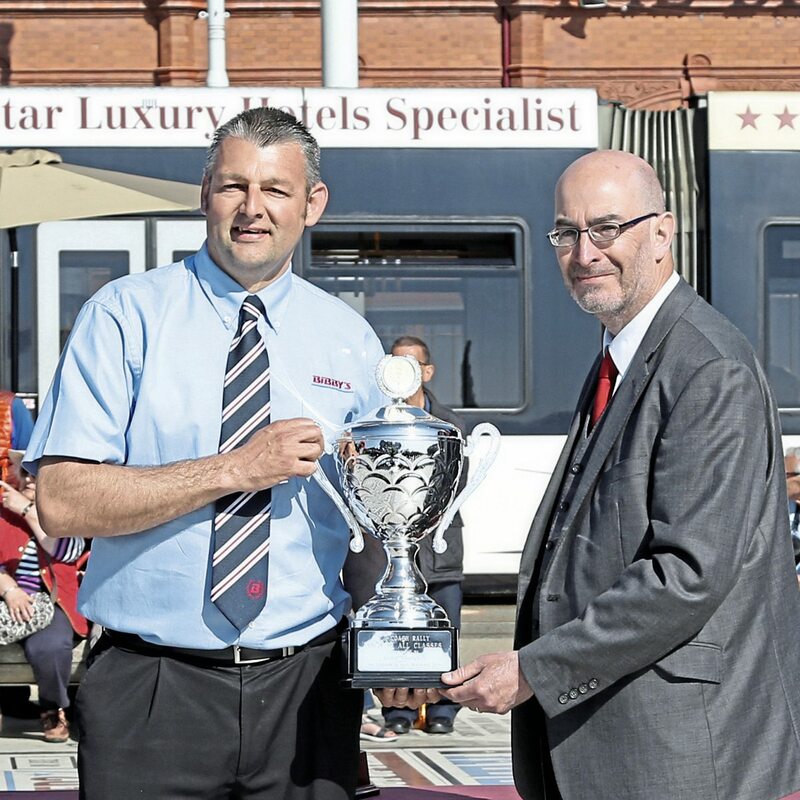 There was a steady stream of visitors viewing the events at both locations with the trade display ideally situated between the two alongside the Metropole Hotel. In the evening, many entrants and visitors enjoyed what was described as a very enjoyable Dinner Dance in the exquisite surroundings of the Tower Ballroom. Sunday morning dawned clear and sunny, conditions which would be enjoyed all day. 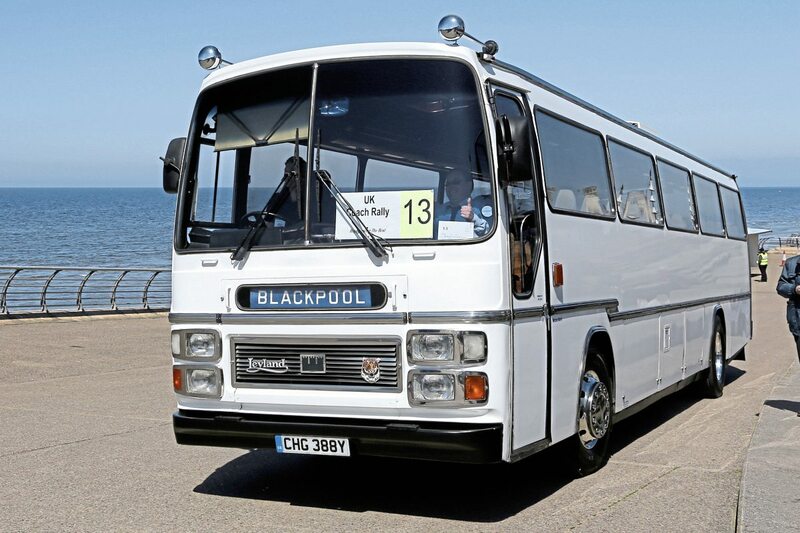 In a change to previous years, Concours d’Elegance judging took place in the main arena, groups of six coaches at a time being shuttled to and from the Comedy Carpet. 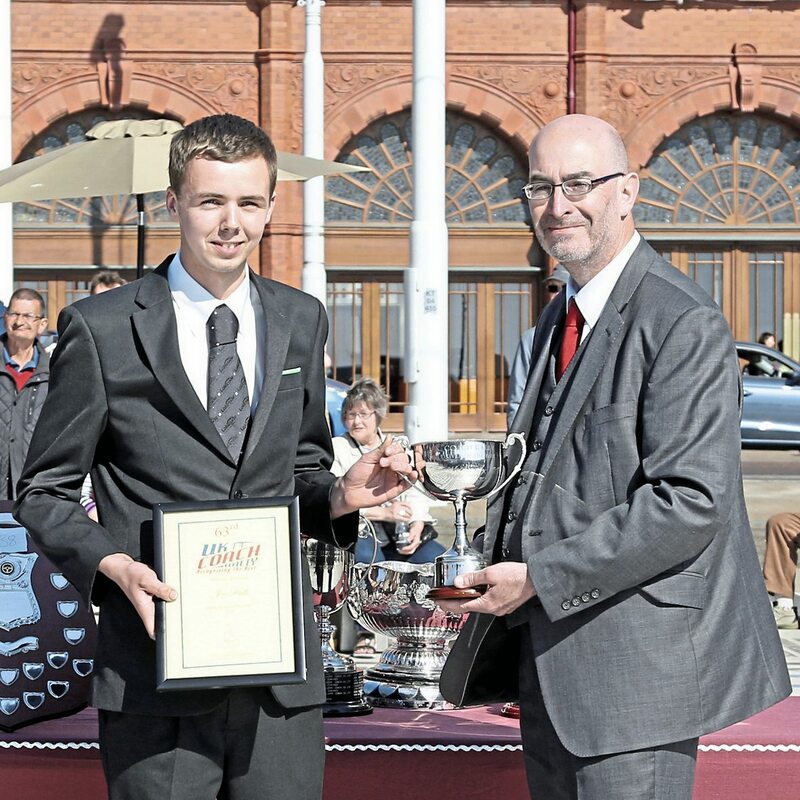 After initial delays whilst the challenges presented by the closure of the main Promenade for a ‘fun run’ were overcome, judging proceeded smoothly and was completed before the driving test finals started. With a more defined time for judging, the new procedure was in general welcomed by entrants. 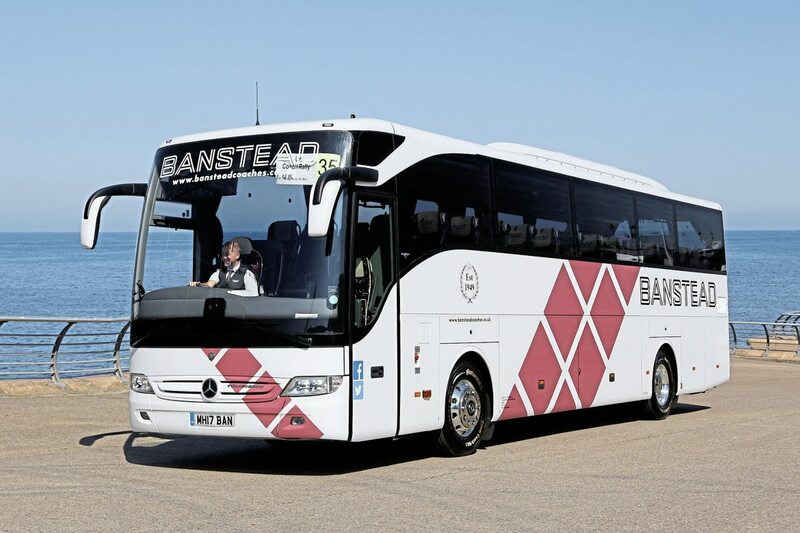 Driving tests were concluded with the Directors’ Challenge where Paul B Winson was successful for the second year running although he undertook the test in the i6 entered by Blakes Coaches as his own entry was in the midi class. 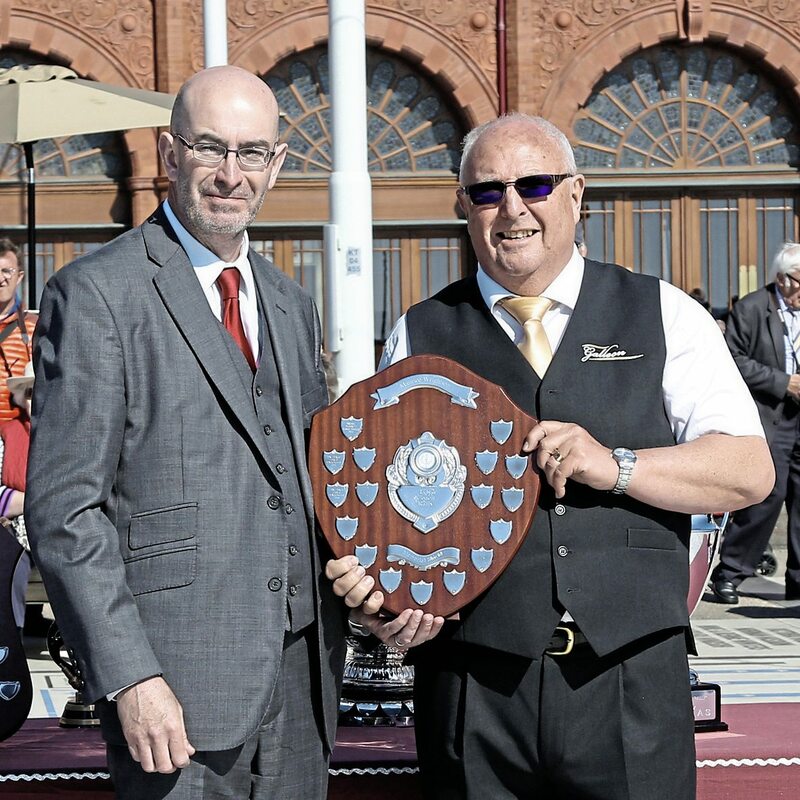 Everyone then adjourned to the Comedy Carpet where Traffic Commissioner for the North East of England, Kevin Rooney, presented the vast array of silverware to winners in the various classes, culminated in the award of Coach of the Year to Blakes Coaches. 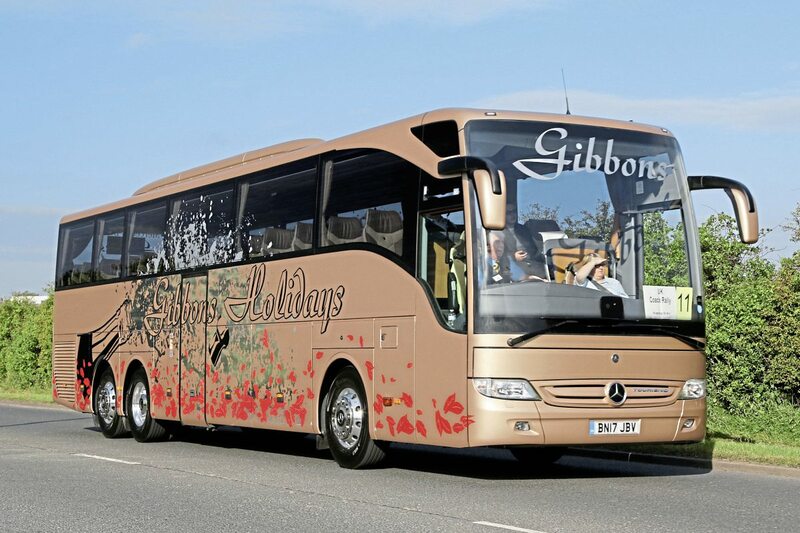 Due to space limitations and safety considerations, it was not possible to bring vehicles forward for the main awards although the traditional garland was subsequently attached to the Blakes vehicle. 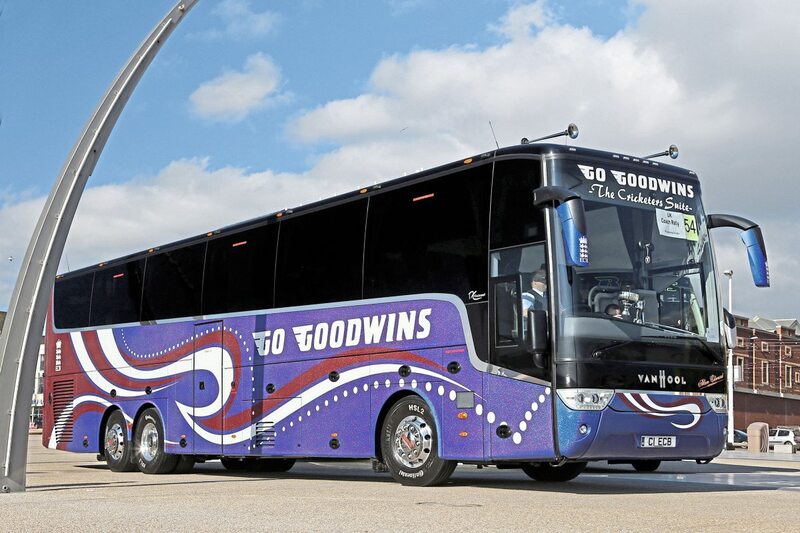 Please see the highlighted table for a full list of winners and visit the Bus and Coach Buyer website for more images of the entrants and the awards ceremony.